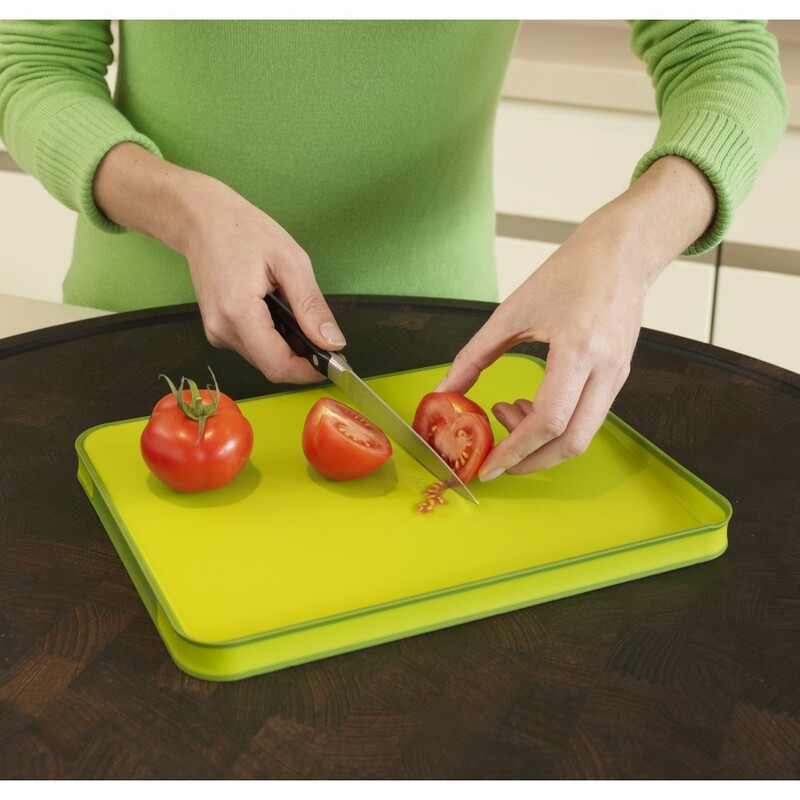 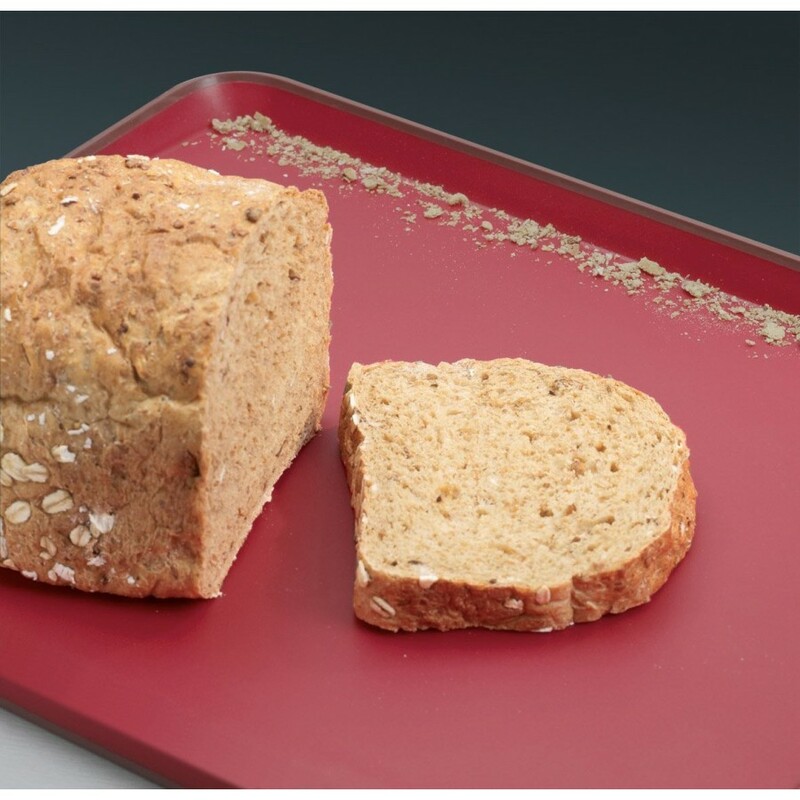 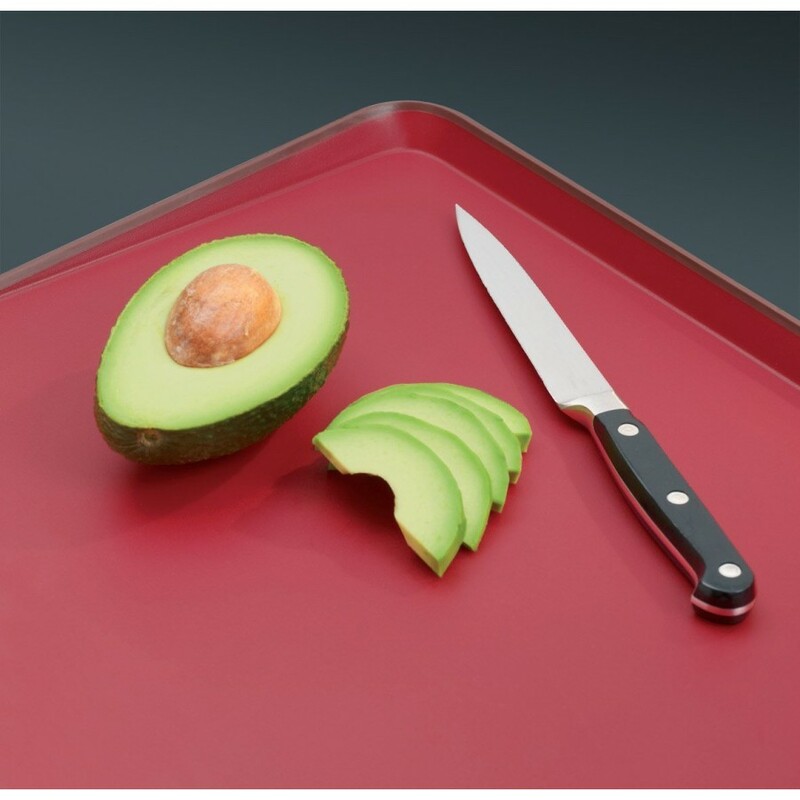 Cut & Carve™ Plus is an enhanced version of our popular double-sided, multi-function chopping board, which now boasts non-slip feet and soft-grip sides. Its unique angled cutting surface is designed to assist in the collection and drainage of liquids or food and it has an integral meat grip on one side of the board to assist when carving. The opposite side of the board provides a smooth cutting surface, for general food preparation. 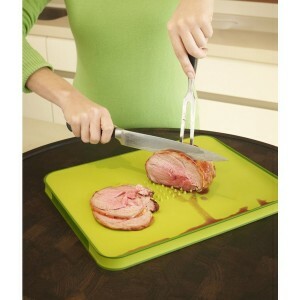 The finely moulded spikes on this side of the board help grip meat joints or a whole roast chicken whilst carving. 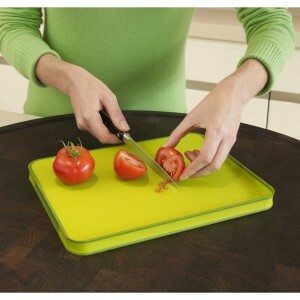 Tapered design is perfect for draining liquids and other food debris. Conveniently placed recesses and a rubber finish help make lifting easy. Both sides of the board are gently angled, to help collect food debris and liquids. 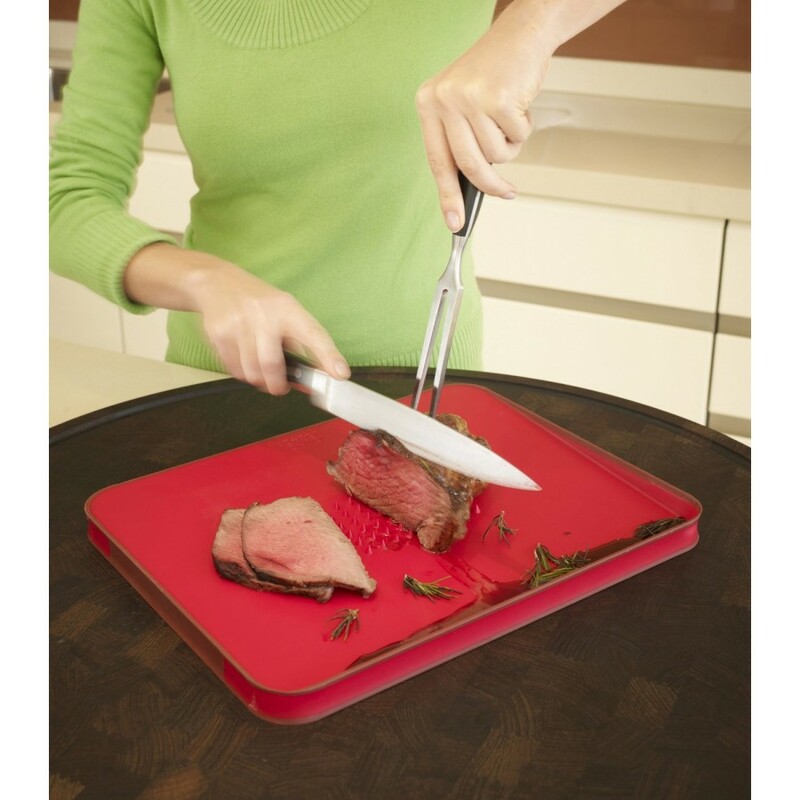 One side has an integral meat grip to aid carving and the other is smooth, perfect for all kinds of general food preparation. 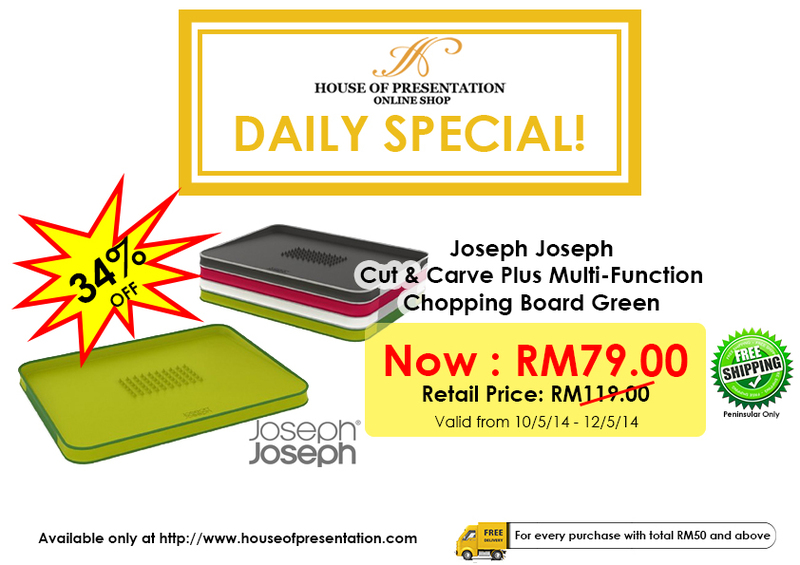 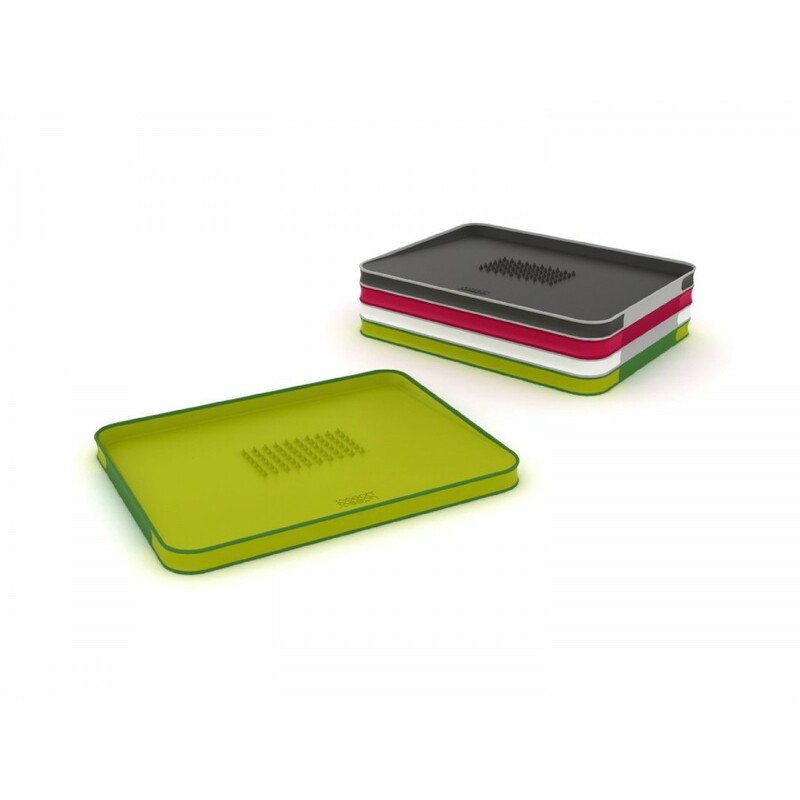 The over-moulded rubber finish helps keep the board in place during use or if stored upright.